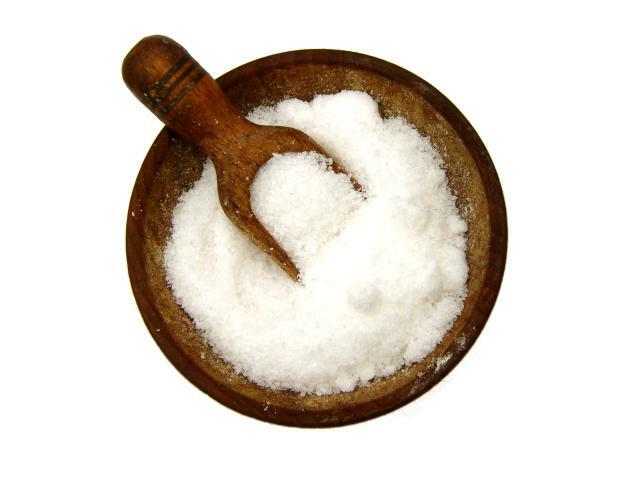 What’s the difference between sodium nitrite and sodium nitrate? A few weeks ago, I made some pancetta – cured bacon that was then rolled, tied and dried for three weeks to mature it. The commenter highlighted something that I’d been very worried about – the use of chemicals in the curing purpose, and more specifically, using the right chemicals at the right time. Charcuterie and curing can be a bewildering subject to get into, with ingredients that look more at home in a lab than a kitchen and specific and hard to achieve requirements around temperature and humidity. It’s all a bit overwhelming, really. Sodium nitrite is sold under a lot of different names, but the main brands are Prague Powder #1 or Instacure #1. Sodium nitrate is normally sold as Prague Powder #2 or Instacure #2. Sodium nitrite and sodium nitrate do the same thing in the end, but in different ways, although sometimes, they’re used together. In general, sodium nitrite is used alone where the finished product will be cooked through before eating, where the drying or maturing process is only a couple of weeks. My pancetta falls firmly into this category. Sodium nitrate is normally used where the end result is a fully dried product, like a salami or dried sausage of some sort. The meat is still technically raw when its eaten – its never been heated right through. To understand why nitrates are used for fully dried products, it’s important to understand why they’re different to nitrites. What do nitrites and nitrates actually do? The main thing that sodium nitrite or nitrate do is keep meat safe whilst it cures by inhibiting bacterial growth. This is absolutely vital because, whilst curing, you’re going to be holding meat at higher temperatures than you normally would. The curing process might call for a fairly cool temperature, but not as cool as a refrigerator. As a side benefit, sodium nitrite and nitrate maintain that healthy pink tinge to the meat as it cures. It makes the finished product more palatable. Nitrate is essentially a slow release mechanism for sodium nitrite. Sodium nitrate breaks down and becomes sodium nitrite over time as the nitrate reacts with bacteria to become nitrite. In foods that are cured and dried over an extended period, it’s vital that the nitrites are formed slowly. An instant hit from the initial use of a nitrite wouldn’t do the job properly over the long term – the nitrites would be used up quickly and the meat would be open to bacterial invasion later on. In charcuterie that’s going to be dried for a very long time, many months perhaps, both nitrites and nitrates are normally used. The nitrite provides that initial protective shield, and as it fades away, the nitrates start to step up to do the same thing as they convert into nitrites. You can’t buy pure sodium nitrite or nitrate, so the commercial products like Prague Powder #1 or #2 are actually premixed with normal salt – 6.25% nitrite in #1, 6.25% nitrite and 4% nitrate in #2. So is the commenter right? He’s mixing his Prague Powders up. It’s very easy to do, and it shows how careful you need to be when handling and using these chemicals in the kitchen. My pancetta is not a dry cured product, so there is no need for nitrates to be used. Nitrites are sufficient in this case. The best thing anybody can do before embarking on any kind of charcuterie experiment is to read around the subject in detail and make sure that they fully understand the mechanics of the process and the characteristics of the ingredients involved. Find a reliable and reputable recipe and follow it to the absolute letter – no measuring slip ups, no short cuts. Handle whatever nitrites or nitrates you use with absolute caution and store them safely out of the way. Do exactly what it says on the page. I would guess it's instacure 1.